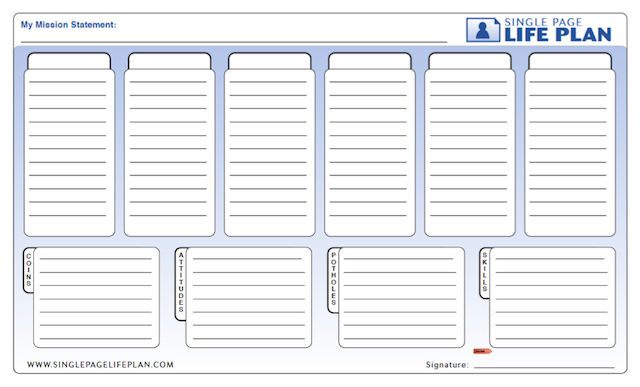 My book, Single Page Life Plan explains how you can extend single page planning to all of your important projects and ventures. 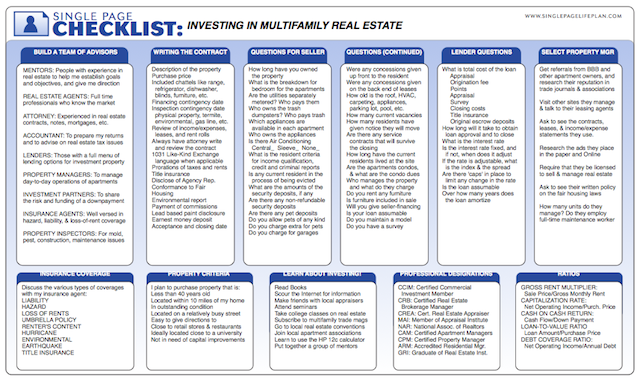 Single Page Checklists are a ‘catch-all’ for special projects that you can review regularly to stay focused. This is the overarching vision you have for your life. All other parts of your plan synchronize with this. 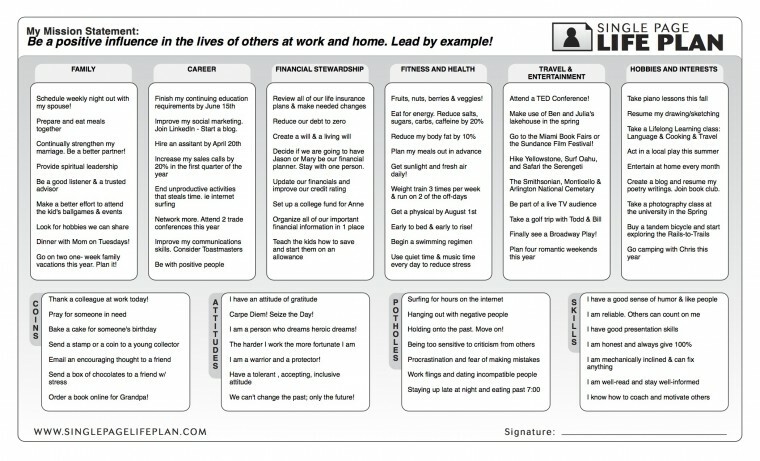 Your Life Categories are the six major highways that lead a path towards your Vision Statement. These Life Categories are the most vital aspects of your life. Simple Isn’t Easy … Only Better! 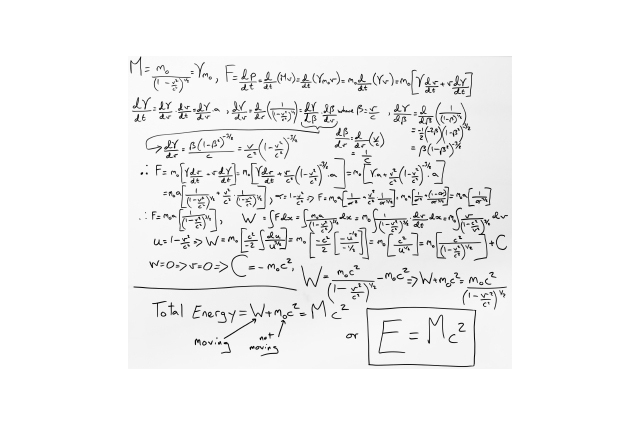 Einstein often commented that unlocking the greatest mysteries of the universe would be useless unless you could make them be understandable to a young student. It takes a lot of effort and creativity to reduce things to their most simple form. The genius of Albert Einstein was not that he could comprehend so many of the complexities of space, time, gravity, and light. All scientists can do that. His genius was in his ability to simplify those complexities into an understandable theory of relativity. 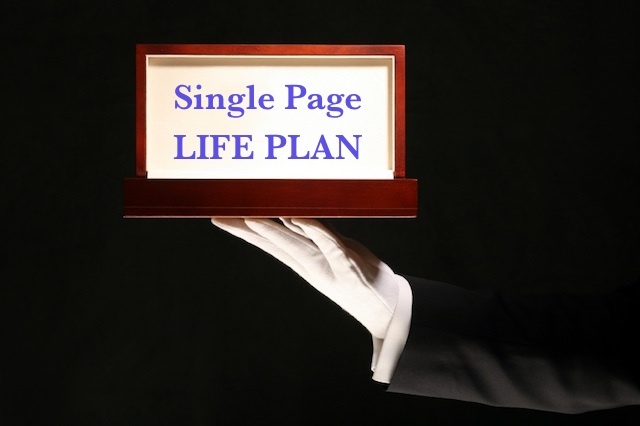 Your Single Page Life Plan Should Not Be P.O.S.H. The brilliance of a Single Page Life Plan© lies in its simplicity. It must never be P.O.S.H. – Perfect, Overloaded, Set in stone, or Hidden. Your life plan is not the Magna Carta! It is an important document—but it’s different. Your life plan is a blueprint of how you want to live your life. It forces you to identify your goals and strategies, and it makes it easier for you to gauge results and to stay accountable. However, it is not meant to be all-inclusive or perfect. Mark Twain once said, “Continuous improvement is better than delayed perfection.” So, don’t get mired down searching for a grand epiphany here. Just get things going in the right direction. 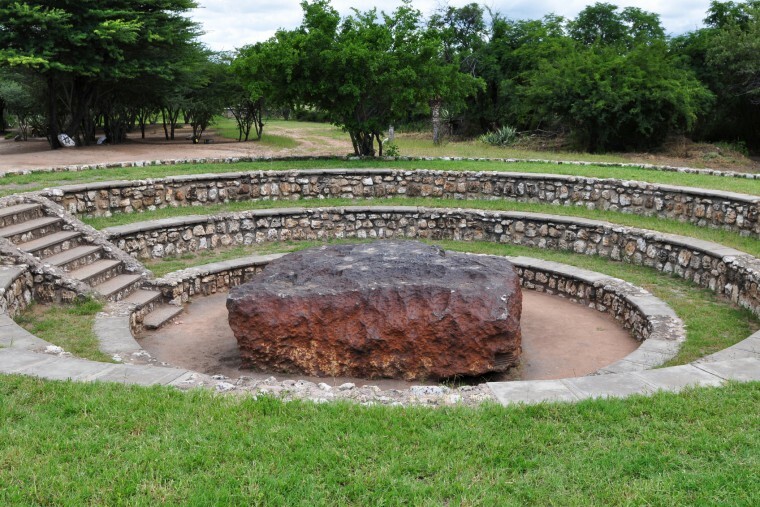 If you knew 10 years from now that you’d be hit by a meteorite , how would you spend those 10 years? Building an anti-meteor device, of course! Pretending that we might not live forever can be a motivation for creating a Single Page Life Plan©; for adding some intentionality to our lives. A good question to ask ourselves is this: A decade from now, how would I want somebody to describe that period of my life? What must I focus on for this to happen? You make all of the choices when creating your life plan. It is unique to you. Your Vision Statement is the overarching purpose you see for your life. There is no right or wrong answer as long as it resonates with where you want to go. But, to create a laser-like focus, keep your Vision Statement short! 40 words or less. It has been said by many people, in a variety of ways that people who don’t care where they are going, don’t need a road map. The rest of us, however, recognize the value of adding direction to our lives. Of setting a course that aims us towards our dreams and aspirations.You are unique! Plan accordingly! Leaders need a life plan! 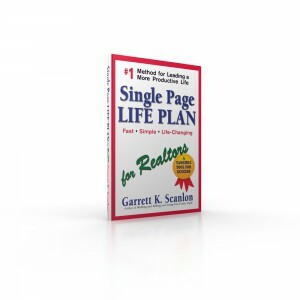 You need a Single Page Life Plan! Skills you want to promote. Avoid the Clutter! Priorities have to earn their way to page one! Peripheries are not priorities. Peripheries in your life have to earn their way to page one. Until then, they are just distractions; they are clutter. In my book, Single Page Life Plan, I explains how you can make a big change in your life, just by adding a few Coins to your day. Coins are those small things we can do every day to help make another person’s life better. 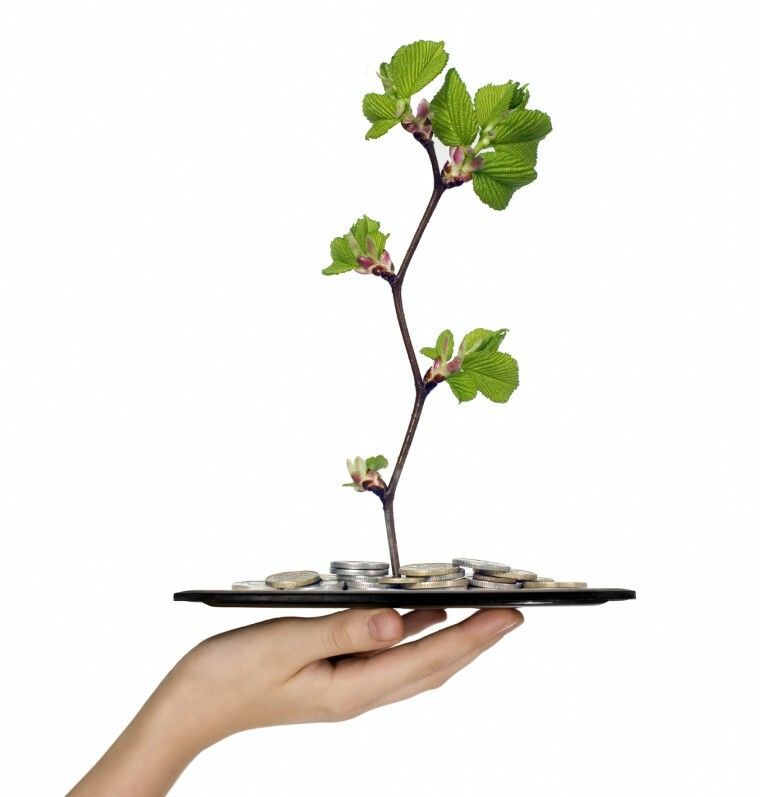 Every day we wake up in the morning with a certain number of Coins in our hand that we can potentially spend. Because here’s the thing … the Coins you don’t spend by the end of the day, are gone forever. The Power of a Single Action Step! If you could add an hour to every week of your life, how would you spend those extra 52 hours that you pick up each year? Exercising? Reading? Enjoying some quiet time? How I saved $3,500 from the power of a single action step! 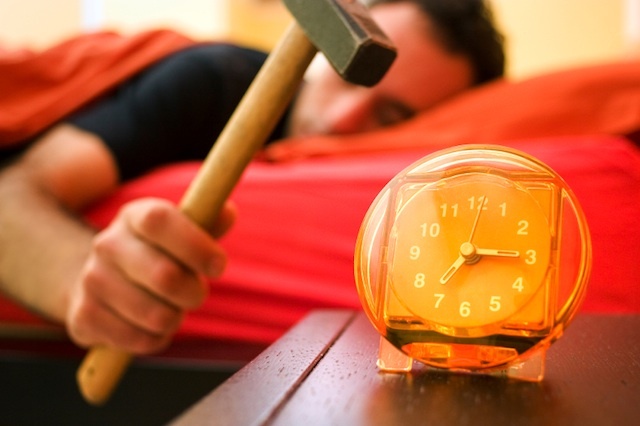 You can add that hour to your week if you choose Stop Hitting the Snooze Button as one of the Action Steps of your Single Page Life Plan©, because most snooze alarms are set for nine minutes. Those 9 minutes, multiplied by 7 days, adds up to over an hour per week! This illustrates the power of a single Action Step. A time-management consultant once told me the story of a doctor who complained to her that he always seemed to be 15 minutes behind schedule all day long. She visited his office to try to solve his problem. What she discovered was remarkably simple … he regularly began his first appointment of the day, with his very first patient, 15 minutes late! Simple Action Steps can make an enormous impact on your life. 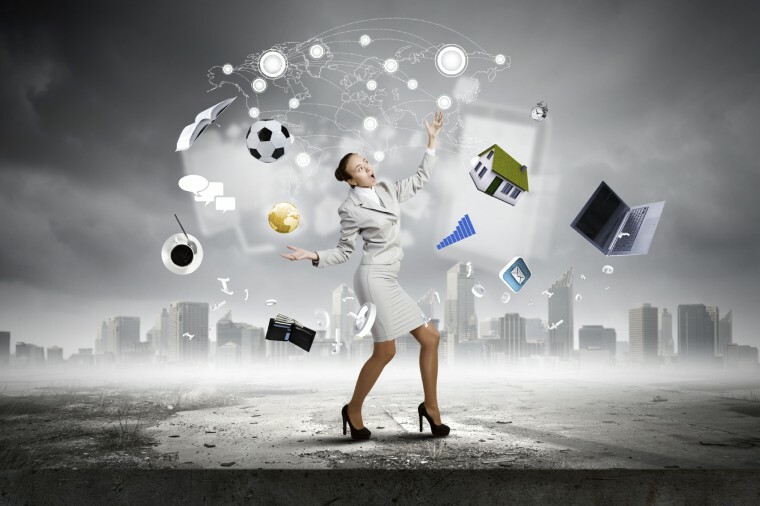 A friend of mine once said, “Chaos is my friend!” While he was kidding, I could sense that there was a part of him that relished multitasking a hundred things at the same time. It was almost like a game for him; a game he thought he played well. Chaos is not Your friend! One of the main reasons people avoid creating a life plan is because they have become comfortable with chaos. This manifests itself in 5 different ways. 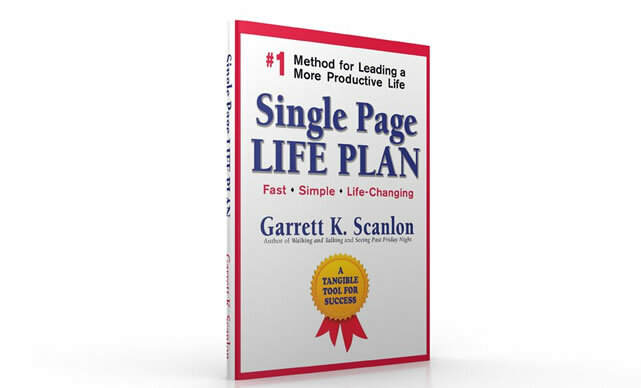 Sign up to receive my blog posts via email and get a FREE copy of my book, Single Page Life Plan. Privacy Guarantee: I will never share your e-mail address. Hello! I draw on real-life stories to share lessons learned from truly exceptional leaders in today's marketplace. I hope you enjoy these stories of life planning, leadership, and real estate that are designed to give you tangible take-aways that will you help succeed at work and home. Simple Isn't Easy ... Only Better! "I Wish I Had Smoked More Cigarettes!" To visit my website with articles about helping teens deal with the challenges of binge drinking, drug use, and smoking during their high school years, visit www.justsayno.org! My name is Garrett Scanlon. I am a real estate broker and have represented clients in the sale and purchase of over $428 million dollars of investment property. I continue to serve the real estate market of Central Ohio. I write and speak on the topics of real estate, leadership, decision-making for young adults during their high school years, and life planning. Drawing on real-life stories of winners in the marketplace helps to inspire me and others to greater success.